The ALD Program is offered each afternoon and uniquely based on individual school schedules. STEAM (Science, Technology, Engineering, Art and Math) Advance real world learning by helping students develop passion and skills in Science, Technology, Engineering, Arts and Math. Students’ self-esteem, confidence and creativity increase as they work on project- based learning activities. This contributes to intensifying their experience of learning, its meaning and purpose. Culinary “Think FRESH not processed” is our motto….The chef allows students to learn through mixing math, simmering science and tasting geography, all while focusing on a setting of healthy eating, creativity and collaboration. Sign Language American Sign Language not only helps students communicate at a young age, it enhances the cognitive process: higher abstract thinking, better problem solving, listening skills and greater academic achievement. Learning Sign Language also gives the students’ a chance to explore and gain an appreciation of the Deaf and Hard of Hearing. Physical Education Our elementary P.E. Program features opportunities to enhance cardiovascular and strength training with the goals of enjoying physical activity, along with helping students maintain focus during core subjects. Physical education builds strong muscles, a healthy heart and active brain. Art develops habits of the mind including problem solving, critical and creative thinking skills, as well as an increase in focus and intellectual risk taking. Art teaches that each person thinks and sees things differently, thereby promoting tolerance for each other’s differences. RIMOSA The “Rhode Island Museum of Science and Art” provide a highly distinctive, interactive, informal learning environment. A focus on curiosity, independent learning and creative problem solving. Robotics and Technology go hand in hand in a highly effective way to foster skills like collaboration, problem solving and project management. Students can design robots using technology and “Build their own Robot” with Lego’s and digitally! Yoga Practicing Yoga poses allows for the student to learn how to exercise, focus, becoming positive thinkers, developing self-control, and respect for self and others, all while improving school performance. Yoga touches the Mind, Body and Soul. Music Students gain an introduction to a variety of music and instruments including piano, guitar, drums, voice, woodwind, bass and brass. Learning to play an instrument can help your child fine tune their ears and enhance skills needed for education and social interaction. Chess Did you know learning how to play chess has a strong correlation to academic achievement…. It’s not about Kings, Queens, and Rooks, but rather it’s about lines, angles, weighing options, making decisions and foreseeing consequences. You Be the Chemist This Next Generation Science Standards based program allows students to “learn by doing”. They participate in the design process and engineering practice to solve problems and engage in interesting science concepts. 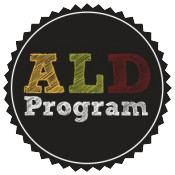 The ALD Program is a comprehensive enrichment program.